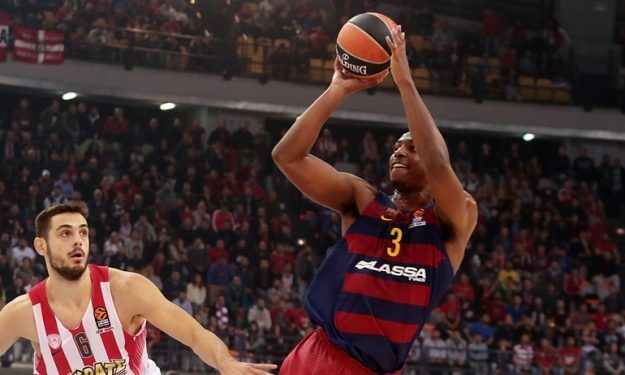 Barcelona announced that it parts ways with American forward Jonathan Holmes who’s contract with the club expired today. In their official announcement, the Blaugrana thanked the player for his professionalism and wished him good luck in future on a professional and family level. Holmes arrived in Barcelona on November signing a two-month contract in order to temporarily fill some vacant roster spots due to the many injuries that plagued the team and also sidelined players in the power forward position like Victor Claver and Justin Doellman. The 23-year-old player participated in seven EuroLeague games averaging 5.1 points and 2.7 rebounds. In the Spanish Liga Endesa he averaged 7.7 points in three matches.